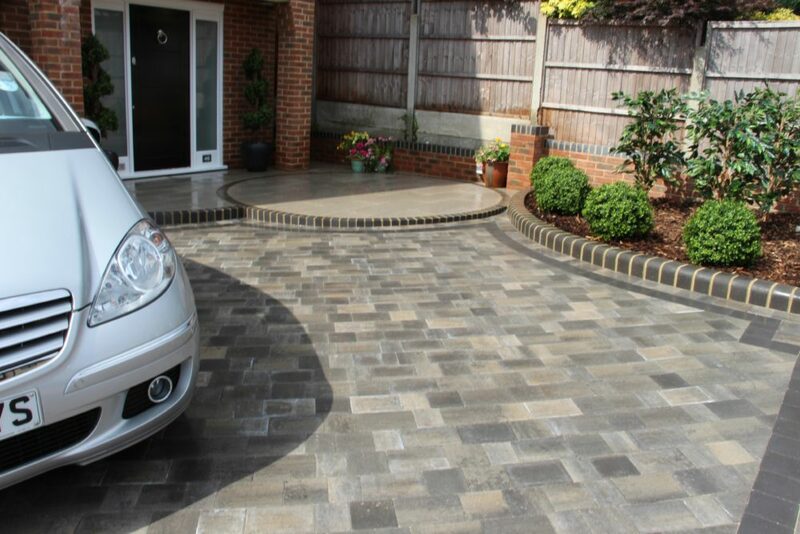 Presenting an ideal complement to its increasingly popular Alpha and Regatta TRIO block paving product ranges, Brett Landscaping has now enhanced its versatile selection of pre-selected paving products for its prominent merchant customer base with the introduction of the new Beta TRIO block paving range. “Our merchants are always looking for supplier products that tick all the boxes for their customers, both in terms of concept and quality. We found that since launching the Alpha and Regatta packs a couple of years ago both have proved a big hit on the merchant side. Initially we had some concerns that the TRIO kits could adversely affect sales of our single size block packs, there has in actuality, been no drop-off at all; in fact sales all round have only increased since we launched the first TRIO product. “This aided our decision to bring the Beta TRIO range to the market. By doing so, we’re extending the choice of versatile, quality paving products which our merchants can offer their customers. Today the traditional single size packs sit alongside the new TRIO option and all are capable of delivering incredibly creative results which has delighted the end customer for many years. The Beta paving style is an increasingly popular addition to the Brett product range, and one that has applications suitable for both the domestic and commercial markets. “By talking to our merchant suppliers and listening to their customer’s requirements, we knew that bringing the Beta design into a TRIO pre-packed product would be a great concept for the paving market. They’ve told us that the Beta block style is very successfully commercially and by making it a TRIO option it can now be delivered in the format best suited to the domestic sector. As with Alpha and Regatta, the Beta TRIO patio pack contains 3 different blocks, of varying sizes together with practical suggestions and guidance for installation design. The Beta block style offers a clean-lined finish and provides a smooth surface, ideal for contemporary hard-landscaping designs. The kit can prove effective at delivering a statement pathway, and is also suitable for garden use, as a reduced gap between blocks minimises soil collection and makes for a low maintenance paving solution.